Last week I wrote about the InDesign CC 2019 updates that were released for us all to download on the 15th of October, this week I’m going to concentrate on Adobe Illustrator CC 2019 and the new features that have been made available. Again I’ve had a good look at all the updates and I’m going to concentrate on what I think are the most useful. 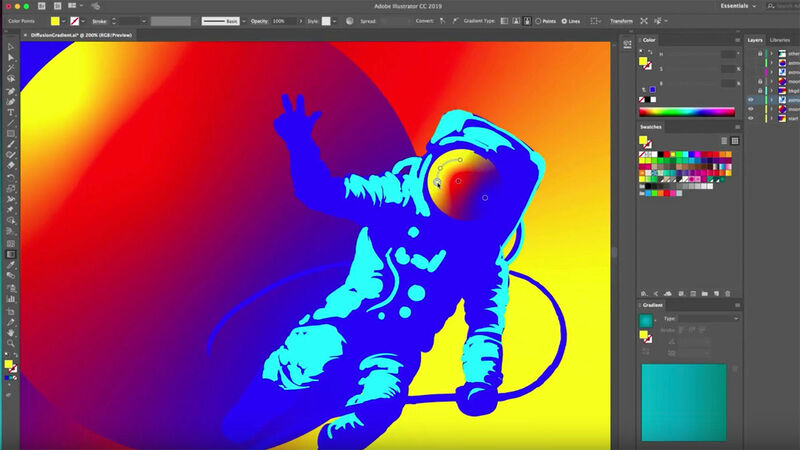 About a month ago I shared a video that Adobe teased us with showing a new way to apply our gradients, currently we only have linear and radial gradients in Adobe Illustrator and if we want to create anything more complex we need to use the Gradient Mesh Tool which can get complex. Using Freeform Gradients in Adobe Illustrator is similar to the Mesh Tool but we don’t need to use complex anchor points you literally drop the colour where you want it to appear, you can drop as many colours as you like in a single fill area and the colours blend together seamlessly. The interface for this tool is extremely easy to use and moving the colours on the Adobe Illustrator Artwork is also very simple. Adobe Illustrator now allows you to completely customise your tool bar. For a long while in all the Adobe Creative Cloud Applications you have been able to customise your panels and save your own work-spaces to suit your needs and preferences. Now in Adobe Illustrator you can change the order of the tools in your tool bar, you can simply drag and drop to create custom groups of tools so all the important ones for you are in the same place when you need them. Similar to Adobe InDesign 2019 Adobe Illustrator has vastly improved how you can change and preview fonts in this latest release. 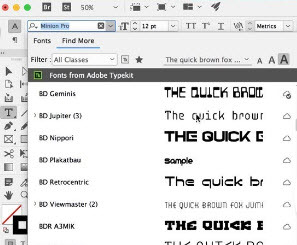 You are even able to preview fonts that are not activated on your computer from the Adobe Font Library. 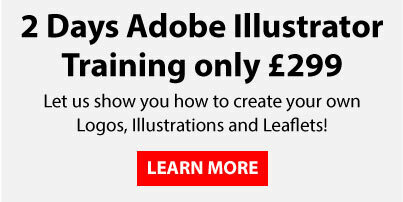 Then when you see one you like you can enable it directly through your Adobe Illustrator interface rather than going to the Adobe website. For quite some time it has been a frustration with Adobe Illustrator that you cant just hide all of the objects on your paste board like you can in Adobe InDesign well as you can guess it is now possible! This new method of previewing enables you to hide all the guides and grids that you have in your adobe Illustrator artboard and everything that is not on the page! Also with Adobe Illustrators new presentation mode you can view your artboards in full screen and each artboard becomes a slide. This great feature saves the time of saving the file as a PDF each time you want to present your work to anybody. Some of you may use Symbols to link artwork together so when you edit the master symbol everything linked changes too. 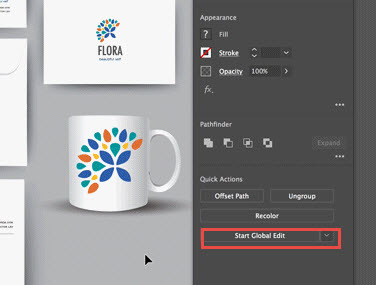 Global Edits really simplifies this process by enabling you to just select similar objects then change only one of them and they all become updated. This feature in Adobe Illustrator is particularly useful when you want to just update a couple of the instances rather than all of them. 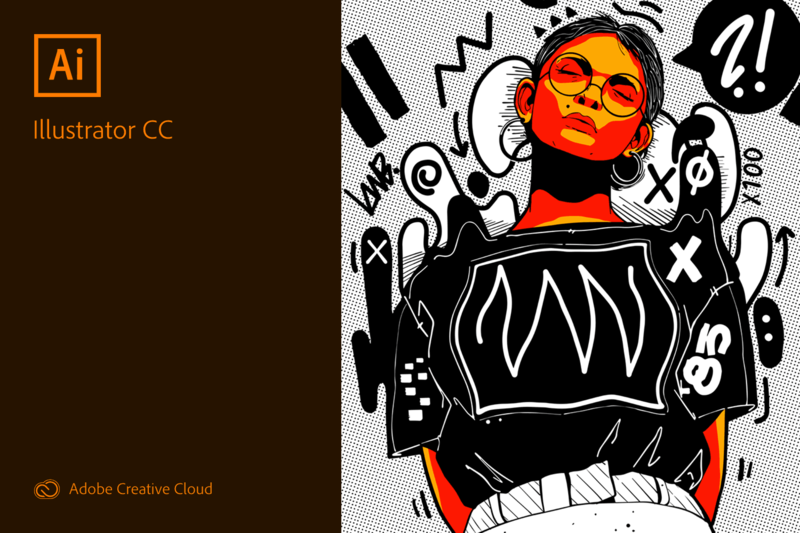 A full list of the Adobe Illustrator CC 2019 updates can be found on the Adobe website.